Strontium Technology Pte Ltd, a leading digital storage manufacturing company with headquarters in Singapore, today introduces its first wireless product range Strontium® Mobile WiFi Cloud. Mobile WiFi Cloud is a portable media hub to stream media to your tablets and smartphones from storage media, such as SD cards, USB drives or external portable USB hard drives via a secure, wireless connection, no matter where you are! Strontium’s Mobile WiFi Cloud allows you to bring your collection of movies, music, photos and documents on-the-go and share them with all your wireless devices easily. It can be easily used by just inserting your SD card, USB flash drive, or even your portable USB hard drive into the media hub and the built-in WiFi connection allows you to share the content with up to five iOS, Android, or laptop devices* within a range via a dedicated APP by Strontium. In addition, it allows you to back up the data on mobile devices to the storage media attached on the media hub to free up the valuable storage space for content-intensive applications such as games and email. It comes as a handy device that gives pleasure to enjoy any music and videos when you are outside with your friends or easily share documents during business meeting without the worry of limited storage space. The Mobile WiFi Cloud has a built-in rechargeable 3000mAh battery which allows for up to 8 hours** of continuous usage. In addition, it can double up as a portable power bank if your mobile devices ever run low on juice. The free iOS and Android mobile app is equipped with search utility function to identify and navigate data files. 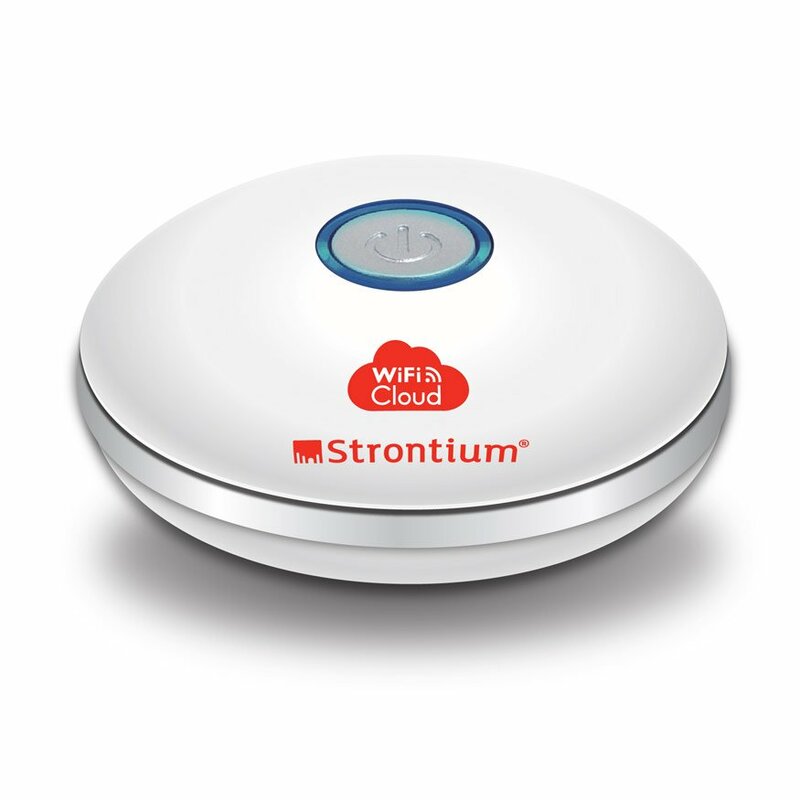 The Mobile WiFi Cloud is also supported by a two-year warranty, free technical support and Strontium® reliability. It will be widely available pan India across all leading retails stores and e-commerce sites which will be priced at Rs. 3499/-.